New software identified five different families of microstructures, each defined by a shared “skeleton” (blue), that optimally traded off three mechanical properties. Courtesy of the researchers. Through the two-photon lithography (TPL) 3D printing process, researchers can print woodpile lattices with submicron features a fraction of the width of a human hair. Image by Jacob Long and Adam Connell/LLNL. Lawrence Livermore National Laboratory (LLNL) researchers have discovered novel ways to extend the capabilities of two-photon lithography (TPL), a high-resolution 3D printing technique capable of producing nanoscale features smaller than one-hundredth the width of a human hair. The findings, recently published on the cover of the journal ACS Applied Materials & Interfaces , also unleashes the potential for X-ray computed tomography (CT) to analyze stress or defects noninvasively in embedded 3D-printed medical devices or implants. LLNL researchers printed octet truss structures with submicron features on top of a solid base with a diameter similar to human hair. Photo by James Oakdale/LLNL. Through the two-photon lithography (TPL) 3D printing process, researchers can print woodpile lattices with submicron features a fraction of the width of a human hair. Photo by James Oakdale/LLNL. 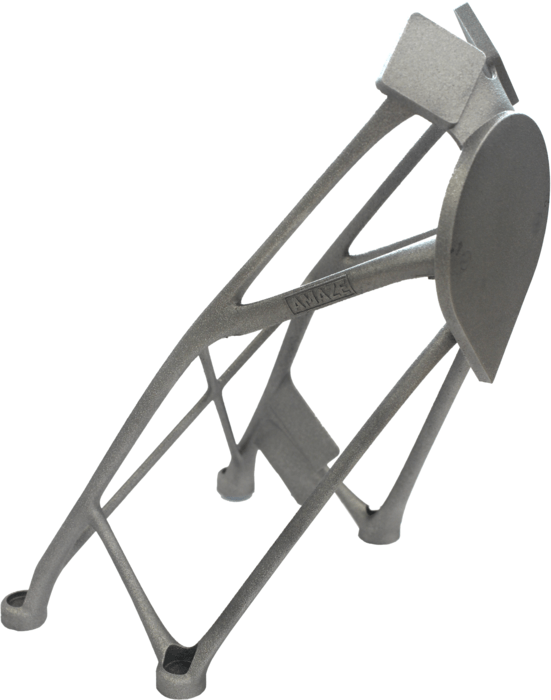 Sun sensor and antenna support bracket produced through the AMAZE metal 3D printing programme, courtesy of Thales Alenia Space and Renishaw. 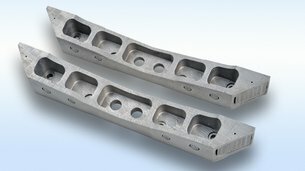 Europe’s lead in metal 3D printing has been strengthened by the four-year AMAZE programme, producing lighter, cheaper, organically shaped parts. ESA was among 26 academic and industrial partners developing novel processes and products for high-performance sectors. Launched in 2013, AMAZE – short for Additive Manufacturing Aiming Towards Zero Waste and Efficient Production of High-Tech Metal Products – was the largest R&D programme for 3D printing ever run. ESA helped to initiate the programme, which was funded by the European Commission’s Seventh Framework Programme and coordinated by the UK’s Manufacturing Technology Centre (MTC). The Agency joined manufacturers Airbus and Thales Alenia Space in assessing prototype products for space use, while comparable end-users did the same for the automotive, aeronautics and nuclear fusion sectors. “The work of AMAZE ranges right across the process chain,” explains David Wimpenny, Chief Technologist for the National Additive Manufacturing Centre, based at the MTC. David Wimpenny adds: “It’s really opened the eyes of designers: through 3D printing, complex, performance-optimised, lightweight parts actually end up costing less than traditional alternatives. “During AMAZE we’ve been literally growing parts to bear the loads required; the result has been these organically shaped metal parts weighing less than half the of the original component, manufactured all in one – removing joints which represent potential points of weakness. 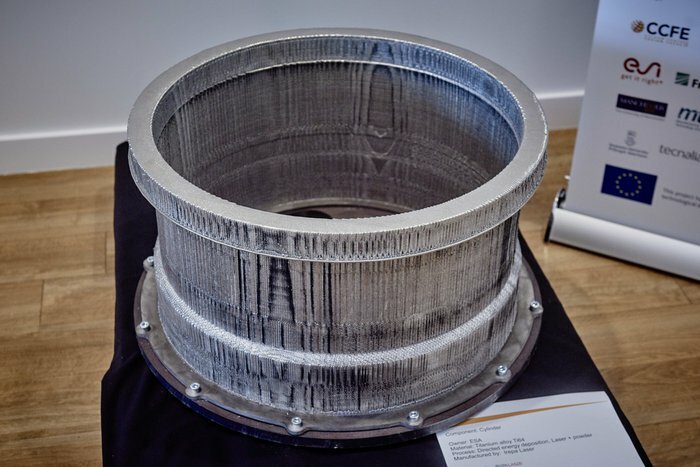 Among the largest items produced by AMAZE, this 3-m diameter structural cylinder was printed in titanium alloy Ti64 using ‘directed energy deposition’ melting powder with a laser, courtesy of ESA and IREPA. Assessing a range of different 3D printing techniques, the variety of produced parts varied hugely, from millimetre-scale samples to metre-scale structural items. “Just as important was increasing the speed and productivity of the process, from a few hundred grams to kilograms per hour, without compromising quality,” explains David Wimpenny. Another challenge was the post processing, finish and inspection of the parts, including standardised non-destructive test procedures. Medical-style three-dimensional CT scanning is one solution that was explored, with AMAZE findings going towards an ongoing effort to develop a common ISO standard for the field. “The industrial partners in the project are now commercialising the results of the project and the AMAZE experience has helped to forge a research community which will continue to increase the knowledge and improve the capability of additive manufacturing processes going forwards”, says David Wimpenny. Researchers from Lawrence Livermore National Laboratory (LLNL) and a Bay Area company are joining forces to explore how design software can accelerate innovation for three-dimensional printing of advanced materials. Under an 18-month Cooperative Research and Development Agreement (CRADA), LLNL will use state-of-the-art software for generative design from San Rafael-based Autodesk Inc. as it studies how new material microstructures, arranged in complex configurations and printed with additive manufacturing techniques, will produce objects with physical properties that were never before possible. In the project, LLNL researchers will bring to bear several key technologies, such as additive manufacturing, material modeling and architected design (arranging materials at the micro and nanoscale through computational design). LLNL and Autodesk have selected next-generation protective helmets as a test case for their technology collaboration, studying how to improve design performance. “As an organization that is pushing the limits on generative design and high-performance computing, Autodesk is an ideal collaborator as we investigate next-generation manufacturing,” said Anantha Krishnan, LLNL’s associate director for engineering. Mark Davis, Autodesk’s senior director of design research, called helmet design an excellent example of a design problem with multiple objectives, such as the constraints of desired weight, cost, durability, material thickness and response to compression. “Giving the software goals and constraints as input, then allowing the computer to synthesize form and optimize across multiple materials, will lead to the discovery of unexpected, high-performing designs that would not have otherwise been pursued,” Davis added. Through the application of goal-oriented design software tools, LLNL and Autodesk expect to generate and analyze the performance of very large sets – thousands to tens of thousands – of different structural configurations of material microarchitectures. In addition to benefiting from the use of computer software, helmet design also stands to receive considerable advantages from additive manufacturing. Helmets represent a class of objects whose internal structures not only need to be lightweight, but also must absorb impact and dissipate energy predictably. Advanced additive manufacturing techniques are expected to allow the LLNL/Autodesk researchers to produce complex material microstructures that will dissipate energy better than what is currently possible with traditionally manufactured helmet pads such as foams and pads. LLNL’s Eric Duoss, a materials engineer and the co-principal investigator for the CRADA with Lab computational engineer Dan White, believes the agreement could lead to new design methodologies with helmets as just one example. “The difference in the design method we are proposing versus historically is that many of the previous manufacturing constraints can be eliminated,” Duoss said. 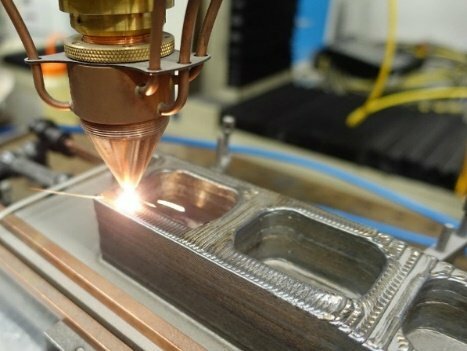 “Additive manufacturing provides the opportunity for unprecedented breakthroughs in new structures and new material properties for a wide range of applications,” Duoss added. It has yet to be determined what kinds of helmets will be designed under the CRADA, but sports helmets, including football, baseball, biking and skiing, are possible, according to Duoss. “One of the important things we hope to gain from this CRADA is to know what a great helmet design looks like, and we aim to build and test components of those helmet designs,” he said. Within the past two years, the Lab’s Additive Manufacturing Initiative team has used 3D printing to produce ultralight and ultrastiff mechanical materials that don’t exist in nature (published in the journal Science), produced mechanical energy absorbing materials (published in Advanced Functional Materials) and printed graphene aerogels (published in Nature Communications). Other LLNL staffers working on the project are: computational engineers Nathan Barton, Mark Messner and Todd Weisgraber; chemical engineer Tom Wilson, materials engineer Tim Ford, chemist Jeremy Lenhardt, applied physicist Willy Moss and mechanical engineer Michael King. The Lab’s Additive Manufacturing Initiative team is developing new approaches to integrating design, fabrication and certification of advanced materials. Using high-performance computing, new materials are modeled virtually and then optimized computationally. The Lab is simultaneously advancing the science of additive manufacturing and materials science, as demonstrated by its work in micro-architected metamaterials – artificial materials with properties not found in nature. Autodesk Inc. is an American multinational software corporation that develops computer-aided design software for the architecture, engineering, manufacturing and entertainment industries. LLNL will be working with the firm’s in-house research group, Autodesk Research. 3-D printing is revolutionizing the ways engineers think about and make highly complicated devices, with applications ranging from wireless communication to air traffic control to earthquake-proof buildings. Hao Xin opens the door to his lab and points to an object that looks like some kind of strange, synthetic sponge made by an alien race much more advanced than ours. “This is a prototype of a Lüneburg lens that we made,” Xin says. Never mind the fact that it’s neither transparent nor made of glass, but of a porous yet weirdly symmetric-looking, plasticky substance of oddly unappealing, pale gray color. Move your eyes closer, and your mind gets lost in a dazzling array of a myriad of tiny branchlets connected to each other at right angles, forming a thicket that gets denser toward the center of the object. Hao Xin is an associate professor in the Department of Electrical and Computer Engineering in the UA’s College of Engineering. Now things make a bit more sense. Unlike light visible to humans, which is pretty picky and travels only through air, water or transparent things (for the most part), terahertz waves pass through anything from synthetics to textiles to cardboard. Because many biomolecules, proteins, explosives or narcotics absorb terahertz radiation in telltale ways, waves of this range can be used to detect such substances in airport security lanes, for example. Xin, a professor in electrical and computer engineering who heads the Millimeter Wave Circuits and Antennas Laboratory at the University of Arizona’s College of Engineering, is harnessing the possibilities of three-dimensional printing to create materials and structures that not too long ago would have been written off as science fiction. “By using 3-D printing and new design approaches, we are able to come up with components such as antennas, wave guides, lenses and holographic devices that are better than existing technology and haven’t been possible to make before,” he says. As computers, communication devices and other IT applications get smaller and can do ever more amazing things, engineers have to overcome ever greater challenges in designing and building the components that make them work. Some applications require the invention of new materials. Some require new ways of manufacturing. And some require both. Xin’s group is one of the first to adopt 3-D printing approaches to make so-called metamaterials, engineered materials with properties not found in nature. Unlike conventional materials such as metals or plastics, metamaterials consist of assemblies of elements made from conventional materials, usually in repeating patterns. Their special properties arise not so much from the properties of their ingredients, but from the shape, geometry and orientation of their subunits. They can be designed to affect electromagnetic waves, sound and even the shockwaves of an earthquake in ways that would be impossible to achieve with traditional materials. Xin’s team has successfully created highly complicated structures using 3-D printing, such as the Lüneburg lens, which has applications ranging from microwave antennas to radar calibration devices. Xin’s lab also uses 3-D printers to make a range of conventional things, such as regular antennas and integrated circuits. It is one of the first to apply the approach to metamaterials to build innovative electromagnetic applications, and it has support from the National Science Foundation, the U.S. Air Force Office of Research, Raytheon and even Google. Earlier this year, the team made waves when it published the first successful attempt at designing what many consider the holy grail of metamaterials: a negative refraction metamaterial that not only bends electromagnetic waves (in this case, microwaves) backward but also does not diminish energy in the process. All previous designs suffered from the fact that the waves lost a large portion of their energy when passing through the material. Xin’s accomplishment could bring negative refraction metamaterials closer to applications aiming at manipulating electromagnetic radiation in new ways. One of them is a so-called phased array, a sophisticated assembly of antennas capable of focusing and pointing a beam of electromagnetic radiation. Used in radar applications for a long time, such arrays form a vital part of the next generation of wireless communication such as the 5G network. “Unlike rotating radar antennas that you see at airports, which are limited to rotating speeds based on mechanical parts, a phased array doesn’t move and has no moving parts that can fail,” Xin explains. “Plus, the antenna can scan as fast as microseconds and in any direction you want. 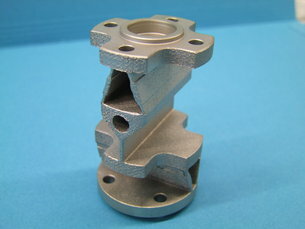 Therein lies the main advantage of 3-D printing over traditional assembly, according to Xin: It becomes possible to build extremely complex and intricate structures consisting of different materials in three-dimensional space rather than by stacking two-dimensional components, each made from one material. On the other hand, 3-D printing allows putting one material with one property in one location, and a material with a different property in another location, Xin explains. To meet one of the biggest energy challenges of the 21st century– finding alternatives to rare-earth elements and other critical materials– scientists will need new and advanced tools. The Critical Materials Institute at the U.S. Department of Energy’s Ames Laboratory has a new one: a 3D printer for metals research. 3D printing technology, which has captured the imagination of both industry and consumers, enables ideas to move quickly from the initial design phase to final form using materials including polymers, ceramics, paper and even food. 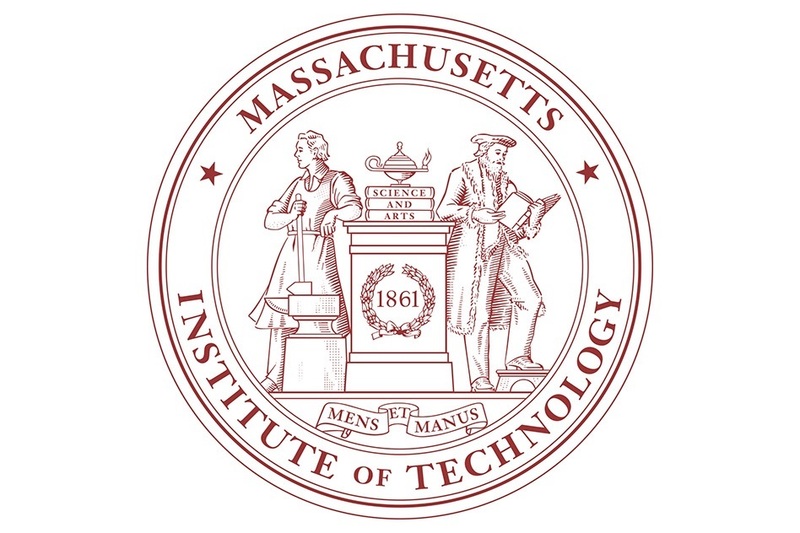 But the Critical Materials Institute (CMI) will apply the advantages of the 3D printing process in a unique way: for materials discovery. By doing so, researchers can find substitutes to critical materials– ones essential for clean energy technologies but at risk of being in short supply. CMI scientists will use the printer instead of traditional casting methods to streamline the process of bulk combinatorial materials research, producing a large variety of alloys in a short amount of time. The CMI printer, a LENS MR-7 manufactured by Optomec of Albuquerque, N.M., uses models from computer-aided design software to build layers of metal alloy on a substrate via metal powders that are melted by a laser. Four chambers supply metal powders to the deposition head that can be programmed to produce a nearly infinite variety of alloy compositions. The printing occurs in an ultra-low oxygen glove box to protect the quality of highly reactive materials. In a recent demonstration run, the printer produced a one-inch long, 0.25-inch diameter rod of stainless steel in 20 seconds. The process will overcome some of the obstacles of traditional combinatorial materials research. “The problem is that it’s been typically limited to thin film synthesis. These thin film samples are not always representative of the bulk properties of a material. For example magnetic properties, important to the study of rare earths, are not going to be the same as you get in the bulk material,” explained Ott. Combined with computational work, experimental techniques, and a partnership with the Stanford Synchrotron Light Source (SSRL) for X-ray characterization, scientists at the CMI will be able to speed the search for alternatives to rare-earth and other critical metals. “Now we have the potential to screen through a lot of material libraries very quickly, looking for the properties that best suit particular needs,” said Ott. This research is supported by the Critical Materials Institute, a Department of Energy Innovation Hub led by the U.S. Department of Energy’s Ames Laboratory. CMI seeks ways to eliminate and reduce reliance on rare-earth metals and other materials critical to the success of clean energy technologies. 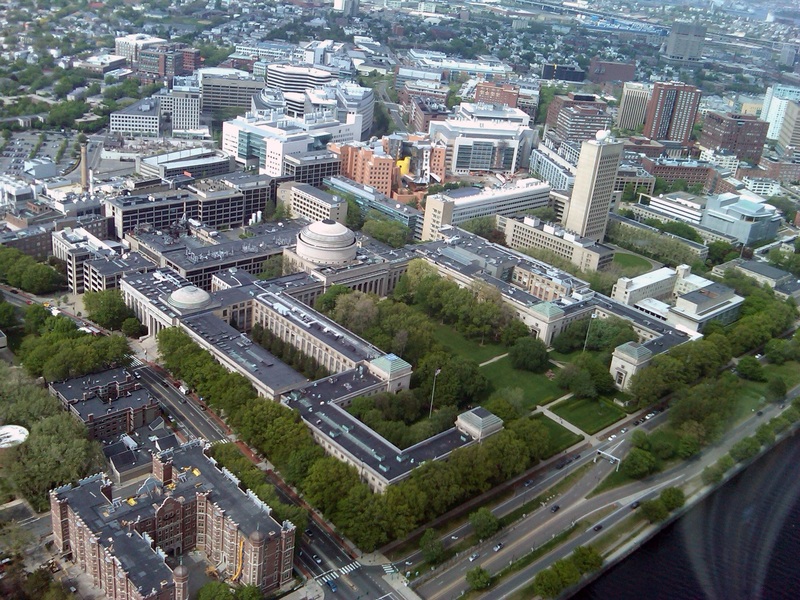 DOE’s Energy Innovation Hubs are integrated research centers that bring together scientists and engineers from many different institutions and technical backgrounds to accelerate scientific discovery in areas vital to U.S. energy security. Ames Laboratory shares a close working relationship with Iowa State University’s Institute for Physical Research and Technology, or IPRT, a network of scientific research centers at Iowa State University, Ames, Iowa.